Aluminum is a naturally occurring metal. But just because its natural, doesn’t mean that it’s okay for the human body to ingest. In fact, aluminum is toxic and too much of it can cause mild symptoms like headaches, nausea, fever, fatigue, and abdominal pain. Because the liver is the body’s filtration system, everything you take in goes through it and some, unfortunately, stays within your tissues. This causes the slow and steady accumulation of this metal in the liver and it can lead to more serious health problems, like Alzheimer’s disease. The metal also acts as a hormone disruptor that has been linked to breast cancer. According to the Centers for Disease Control and Prevention, sources of exposure include virtually all food, water, air, and soil. In fact, the average adult in the U.S. unknowingly eats 7-9 mg aluminum per day. Eating substances containing high levels of aluminum (such as antacids) can be especially harmful if combined with citrus drinks and foods (1). Aluminum is also prevalent in dust, especially in cities or in areas near where aluminum is mined or processed into aluminum metal, near certain hazardous waste sites, or where aluminum is naturally present in high concentrations. Other unlikely sources of aluminum exposure include vaccinations and certain drugs. The list above may seem daunting – and it is – but aluminum is also far from the only toxin that taxes your liver. To give this important organ a bit of rest, it’s important to limit your exposure to the substance and eat liver-boosting food regularly. These little adjustments will make a world of a difference in improving your overall health and protecting your brain. Reduce or eliminate the use of aluminum foil for cooking and storing food to avoid leaching. Instead, use parchment paper for baking, stainless steel or enameled cast iron for cooking, and glass containers for storage. If your municipality’s drinking water is fluoridated, buy filtered water for drinking and cooking. The fluoride added to water is the waste product of aluminum and other industrial processing. Many water supply companies offer water filtered by reverse osmosis, which will remove fluoride and other contaminants from water (2). An off-the-shelf filter that you use with tap water won’t remove the fluoride or toxic metals. When tested, one of the most popular water filter brands actually increased the amount of aluminum in tap water (3). Don’t use anti-antiperspirant or deodorant that contain aluminum. Avoid the use of acetaminophen (Tylenol), found to cause serious liver damage: “Tylenol is not without its serious complications. It is the leading cause of acute liver failure in the United States, and the drug in some cases led to fatalities.” (4). Eat these foods regularly to detoxify this important organ. “Alligator pears” contain high levels of glutathione, a potent anti-inflammatory that boosts the immune system. Their phytonutrient content as well as their healthy fatty acids nourish the liver, helping the body to absorb fat-soluble vitamins and eliminate waste through the digestive system. A Japanese study found that of twenty-two fruits, “avocado showed extraordinarily potent liver injury suppressing activity” due to its fatty acid derivatives (5). These bright roots (red and golden) are loaded with zinc, copper, fiber, and antioxidants that result in the body’s production of glutathione and superoxide dismutase, which have been found extremely effective in supporting liver function (6). Catechins, antioxidants found in green tea, are potent detoxifying agents. We’ve all heard the term “fatty liver”, which occurs when fat accumulates in the liver due to the high consumption of foods high in sugar and simple carbohydrates. Catechins regulate lipids (fats) in the body, improving liver health and reducing oxidative stress (7). Good for your brain and your liver, these lumpy nuts are a wonderful source of omega-3 fat and glutathione. The metabolism in the liver of polyphenol micronutrients from walnuts increases the ability for the body to absorb other crucial nutrients, such as flavonols (a type of antioxidant) (8). A study of the effect of walnuts on induced liver disease “exhibited remarkable inhibitory effects against d-GaIN-induced damage”(9). The liver is incredibly resilient by design, but sometimes it needs a little boost. Cutting down on aluminum, getting enough exercise and sleep, and adding liver-supporting foods to your diet will help it to heal. 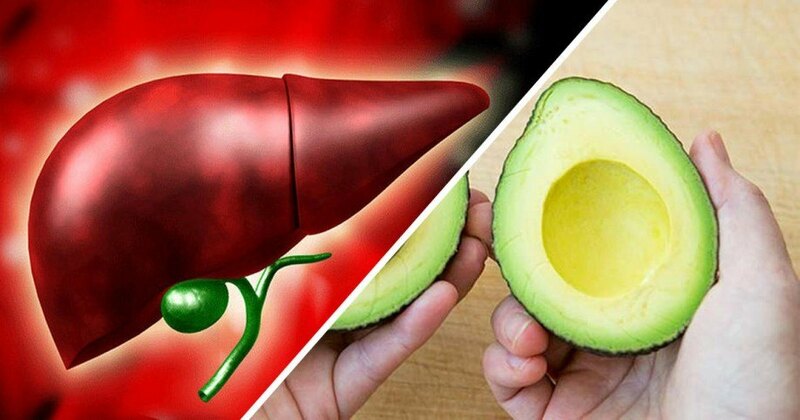 Latest Headlines » Wellness » Your Liver is FULL of Aluminum, Start Eating These Foods To Get Rid of It Immediately!